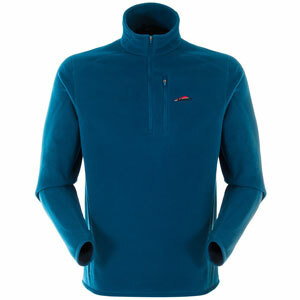 An insulated jacket for the outdoors should be a wardrobe staple for hikers, climbers and the like. Synthetic or down? Does loft matter? How warm should you go? What's the difference between all these jackets that pretty much look the same? As with almost every item you get for your outdoor pursuits, you need to first ask, What am I going to use it for? Seriously warm jacket for cold places. We can't go past the Mont Icicle Down Jacket. This is a genuine expedition jacket for serious trips. Outside the requirements for 8000-metre parkas, it's really the ultimate downie that has no peers. The famed Mont Icicle is the bee's knees if you're after a warmer-than-average insulated jacket. A lot of people buy the Mont Icicle as a travel jacket for going to really cold places. For instance, travelling in Siberia. We've had one customer wear the Icicle while riding a camel across Mongolia. It's also the perfect jacket for taking on an Antarctic cruise, where it's extremely cold on deck, but warm inside (therefore, you want one big, thick, warm layer to put on for going outside, instead of shedding a million layers). People also take it high-altitude trekking in Peru and the Himalayas. On these trips, at the end of each day you'll have a lot of downtime, and at 4000 metres, it's going to be cold no matter where you are. The Icicle is also a good jacket in winter for belaying at the bottom of a sport cliff, where you're mostly doing nothing besides standing around and holding a rope. Downsides? This is a big jacket. It does pack down reasonably for its size, but when you're wearing it, you might feel a bit like you're in one of those sumo wrestler suits. However, that won't matter if you're just toddling about camp and not doing acrobatics in it. It's also a bit on the heavier side. PS If this jacket sounds like it's overkill, consider the Mont Fusion. 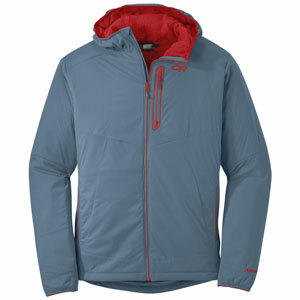 It's the Icicle's baby brother: Still a warmer-than-average down jacket, but spec'ed down and without a hood. DWR-treated down – down that is treated with a coating that makes them highly water-resistant, which means they can handle a light, winter shower. Water-resistant shell material made from Mont's Hydronaute XT – one of those 'magic' fabrics that breathes yet is totally windproof and water resistant. Hydronaute XT is also hardwearing, which makes it ideal for the prickly Australian bush. The other thing about Hydronaute XT is that it pulls moisture through its membrane via a molecular chain (yes, Nerd Level 1): the important thing to note about this is that moisture vapour your body produces can condense in down and reduce its ability to loft, and that's why a fabric like Hydronaute XT is important to have in conjunction with down. Also, it's worth knowing that all the down that Mont uses is ethically-sourced down that is a by-product of the food industry. No live plucking. Pluses: Super toasty; good warmth-to-weight ratio; warm, warm, warm. Women's version: Nope, but the sizing goes down to XS, which fits even our most petite female staff members. 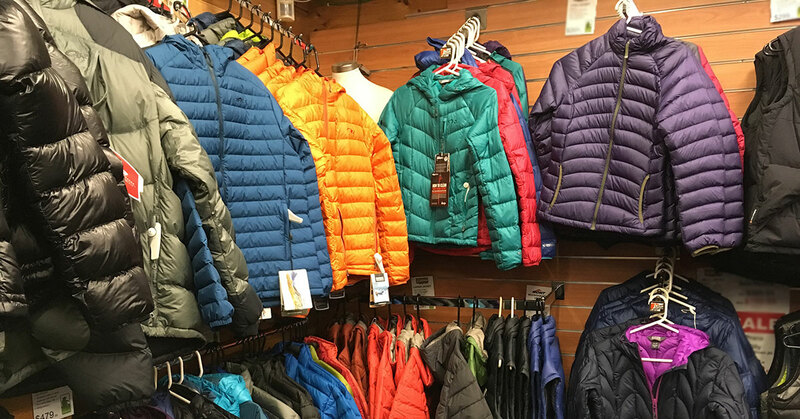 In the store, staff will tell you that it's light enough for our staff to keep on even when they're running up and down ladders getting your shoe size, yet it keeps the cold out when an Antarctic breeze blows past the front counter. Seriously though, in the universe outside Bogong, this translates to a jacket that's breathable enough to climb in on a chilly day, yet warm enough to keep cold gusts at bay when you're chowing down on your egg and avocado sandwich at the base of the crag. Nifty internal thumb loop is a 'why-didn't-anyone-else-think-of-it' sort of invention that offers the benefits of a thumb loop without sacrificing your actual thumb to the elements. Also, key clip in the hand pocket so you don't lose car keys. Pluses: Breathable, warm, active/movement-oriented fit, quick-drying, super-versatile (it's good for backcountry skiing too). Minuses: It's probably not warm enough for sitting around camp on a really chilly night in the depths of Tasmanian winter. Women's version: Yes! See it here. Something in-between (say, for travel, about town, between crags or day hikes). A good 'in-betweener' is something that's warm, yet still highly compressible so that it packs down very small. Consider the Mont Neon Down Hoodie. It's one of those light down jackets that you can stuff into your pack and forget about, until the weather turns and you pull it out (at the envy of everyone around you). The nice thing about the Mont Neon Down Hoodie is that it's also got a modern cut, so you won't look outrageously out of place walking about the trendy parts of town on a rest day. Like the beefier Mont Icicle, the Neon Down Hoodie also has a Hydronaute XT shell and is also filled with 785+ loft down (just less of it). The Mont Neon Down Hoodie might be good for about town, but it's also spec'ed enough to hold up in the mountains (in fact, that's what it's designed for). Comes with a stuff sack. Pluses: Warm; packs down small; looks good. Minuses: Fits some people better than others. Women's version: Yup, Mont Neon Women's Down Hoodie. 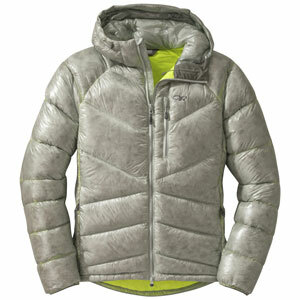 Insulated jacket for cold-weather sports (such as ice climbing, ski-touring and the like). The Outdoor Research Incandescent Hooded Down Jacket is the business when it comes to needing toasty, lightweight and packable. This is a puffy jacket, with 800+ fill power (responsibly sourced goose down). When it comes to warmth-to-weight ratio, this jacket is the ultimate. It's made from seriously lightweight fabrics. One of the pockets doubles as a stuff sack. Durable water repellent finish makes water (from light showers or snow) bead up and roll off. Minuses: Puffy (some people don't like moving in fat jackets); also, it's ideal as an insulating layer – if you need high water-resistance, you should probably wear a lightweight waterproof shell jacket over it. 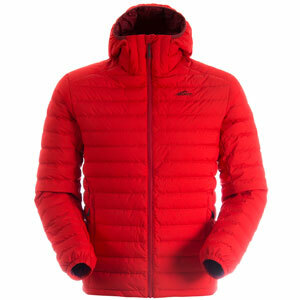 Women's version: The closest thing we have is probably the Outdoor Research Virtuoso Women's Down Hoody Jacket. It's kind of a personal preference. Some Bogong staff like a hood because it's a quick way to turn the warmth up a notch (because a lot of heat escapes from your head). Others think a hood just gets in the way, especially if you're doing some sort of active pursuit like skiing or climbing. So, it's really up to you – there's no right or wrong. Down: You could say, down has an unparalleled warmth-to-weight ratio. That means it's extremely warm for the minimal weight you have to carry. Compared to say, a fleece, which is heavier to achieve the same level of warmth. The downside to down is that it doesn't like getting wet. That's why, these days, quality brands add extra steps in production; such as treating the down with a water-repellent coating, using a highly water-resistant shell fabric and using hydrophobic thread for sewing baffles and seams. You can also get around this problem on a multiday hike by stuffing your down jacket into a waterproof sack before putting it in your pack. Down is also a bit more finicky to care for. But, another upside is that it's very breathable, so you tend not to overheat. Synthetic: Not always as warm as down; although, these days, good quality synthetic insulation is surprisingly effective. Also, it's not as breathable as down – but, again, technology is improving and good quality synthetic fibres are surprisingly breathable. One reason you might choose synthetic insulation over down is, it stays warmer when it's wet. Also, washing synthetic jackets is generally not a massive drag. Fleece is a good budget option. It's warm, it's easy to wash and it's not as expensive as a fancy down or sporty synthetic jacket. Of course, it's not as light (particularly, it's heavy when wet), and doesn't pack down as small. On the flip side, you won't be as precious about a fleece layer, because it's easily replaced and not really an 'investment' item. Also, sometimes simple is best. Plus, fleece is really cozy if you're staying in a cabin. Or, add is as another layer on a cold, dry night. Good quality fleece (yes – you would think fleece is fleece, but there is such thing) is durable. What is loft in down? Loft (or 'fill power') refers to how warm the down is. Basically, the higher the number, the warmer the down. Side note: You may have been told that goose down is warmer than duck down; but, actually, loft is loft – irrespective of where the down came from. It doesn't matter if the bird was a goose, duck or pigeon – 700 loft down is 700 loft down. 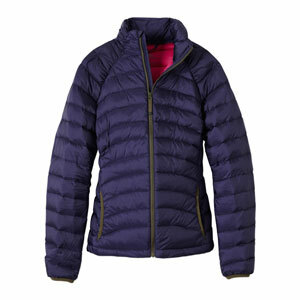 See our range of women's insulated jackets. 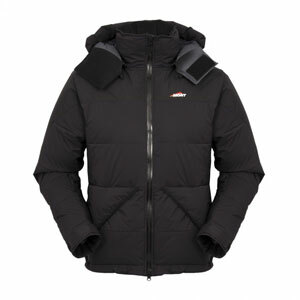 See our range of men's insulated jackets.